On Sunday night baseball, the ESPN crew sat down with Hank Aaron during the Mets and Braves broadcast. 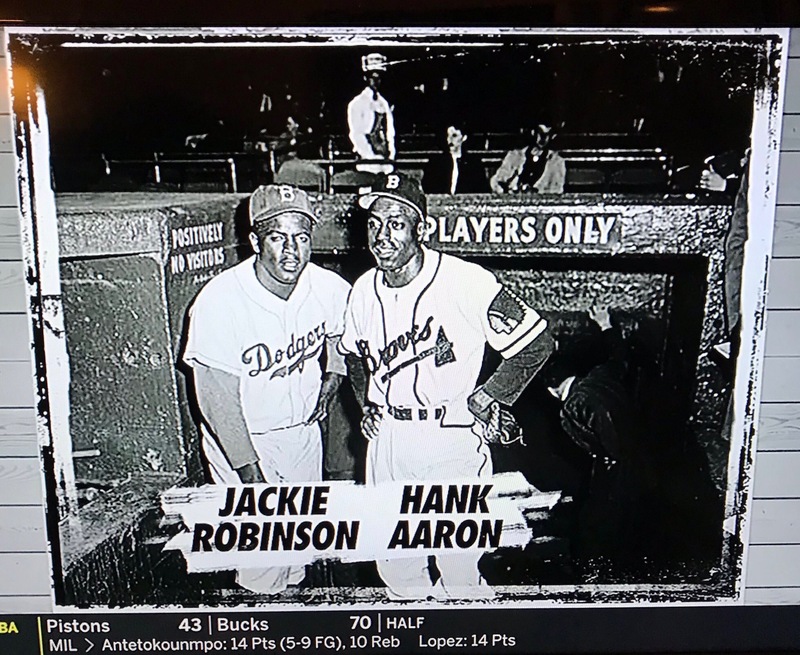 They showed a picture of Jackie Robinson with was to be believed as Hank Aaron, except it was not him it was Sam Jethroe. The dead giveaway you ask? Hank Aaron never played for the Boston Braves. He played for the Milwaukee Braves. 1. The Braves left Boston a year before Aaron made his major league debut. 2. Sam Jethroe, who is pictured on the right does not look like Hank Aaron. 3. The B on Sam Jethroe hat indicated that it’s BOSTON and not “M” for Milwaukee.